What are we to make of Year One of the Amoris Laetitia era? 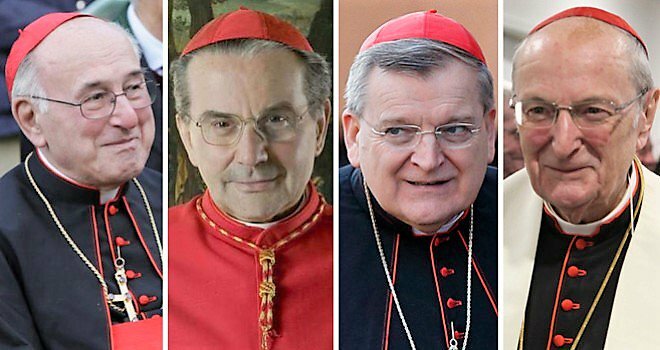 We have had: papal silence on the dubia; papal approval of a draft statement by a group of Argentine bishops of the Rio de la Plata region that opens the door to the reception of Holy Communion by divorced and civilly remarried Catholics; affirmations by Cardinal Müller that Holy Communion cannot be given to those living in a state of adultery; the publication by the pope’s own newspaper, L’Osservatore Romano, of the statement by the Bishops of Malta that couples in invalid second marriages can receive Holy Communion if they at are at peace in their conscience with that decision; the reaffirmation by the Bishops of Poland that the teaching and discipline enunciated by St. John Paul II in Familiaris Consortio have not changed, and that only those civilly remarried couples who live as brother and sister may be admitted to Holy Communion; the Archbishop of Philadelphia saying the same thing; while the bishops of Belgium and Germany agree with the bishops of Malta and Rio del La Plata, Argentina. This is the current unholy mess. 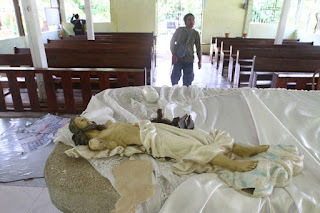 As the four Cardinals lament: “And so it is happening – how painful it is to see this! 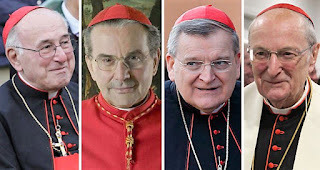 – that what is sin in Poland is good in Germany, that what is prohibited in the Archdiocese of Philadelphia is permitted in Malta." I got a new phone yesterday. I will be careful with it. Or as Cardinal George said, "I expected to die in bed, my successor will die in prison and his successor will die a martyr in the public square." Steve Tennes owns and operates Country Mill Farms, an organic apple farm located 22 miles outside of East Lansing in Charlotte, Michigan. Since 2010, his farm has participated in the East Lansing Farmer’s Market. 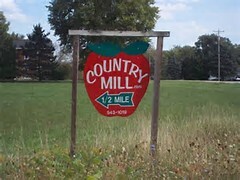 While at the market, Country Mill has always complied with East Lansing laws, including its “Human Relations” law that makes it illegal for public accommodations to discriminate based on sexual orientation and other classifications and to publish any statement indicating someone is unacceptable because of these classifications. As a Catholic taught to treat everyone with dignity and respect, Steve has gladly served and sold apples to all comers, regardless of their sexual orientation. Steve doesn’t discriminate. Okay, so what’s the problem then? Well, in 2016, Steve posted on the Country Mill Facebook page about his Catholic belief that marriage should be between one man and one woman and that his farm could only host weddings consistent with his faith. Well, that did it. Normal rules go out the window when that subject comes up. Although his decision violated no law in Charlotte, it did violate East Lansing’s orthodoxy on that issue. After hearing about Steve’s beliefs, East Lansing officials expelled Steve, telling him that Country Mill could no longer participate in the Farmer’s Market. When Steve asked why, the officials responded that County Mill’s “general business practices” outside the city had violated East Lansing’s “anti-discrimination” law. As proof of his wrongdoing, officials pointed Steve to his Facebook post that explained his religious beliefs. The Callanish Stones (or "Callanish I", Clachan Chalanais or Tursachan Chalanais in Scottish Gaelic) are an arrangement of standing stones placed in a cruciform pattern with a central stone circle. They were erected in the late Neolithic era, and were a focus for ritual activity during the Bronze Age. They are near the village of Callinish (Gaelic: Calanais) on the west coast of Lewis in the Outer Hebrides, Scotland. 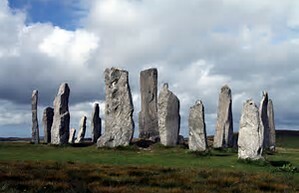 According to one tradition, the Callanish Stones were petrified giants who would not convert to Christianity. Part C as in 100. Manila, Philippines, Jun 27, 2017 / 12:05 am (CNA/EWTN News).- Last week, members of a terrorist group destroyed a Catholic chapel, desecrating consecrated hosts and religious icons, during a nine-hour long attack on the town of Malagakit in southern Philippines. 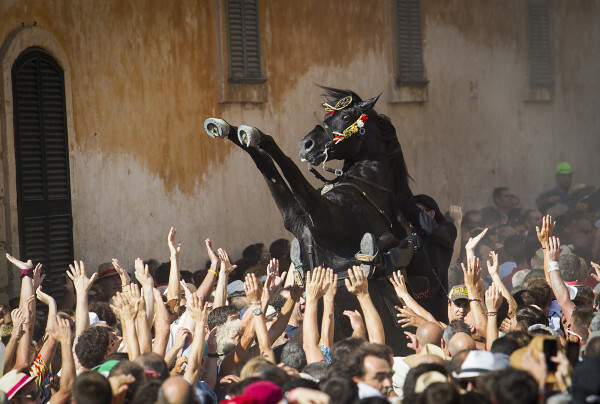 A horse rears in the crowd during the traditional San Juan (Saint John) festival in the town of Ciutadella, on the Balearic Island of Menorca, on the eve of Saint John's day. The reorganisation of the churches and parishes of Menorca by King Jaime II of Mallorca in the late XIII century included that of St John the Baptist, situated five kilometres south of Ciutadella. This parish had its name changed following the Christian conquest of Menorca from the parish of Artruix (a name designating the whole of the south of Ciutadella) to being known as the parish of St John the Baptist. Today, it is known as Sant Joan de Missa, the little parish church which lost its parochial rites on being linked to the parish of Ciutadella, the home of Menorca’s cathedral. The fiesta’s Medieval origins are also apparent in the group of horsemen and their attire that lead the proceedings. 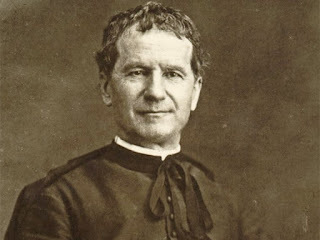 The municipal council of Ciutadella would elect a committee from different social sectors to administer the religious buildings and charitable works. This was led by a nobleman and included a priest, two farmers and an artisan, and the committee members were known as ‘Caixers’. The committee also organised important festivities, the most important being the birth of St John the Baptist on 24 June, the eve of which a pilgrimage was arranged to the hermitage. After mass everyone returned to the town at sunset when bonfires were lit and people celebrated by dancing in the streets. The following morning mass was held in honour of the saint. 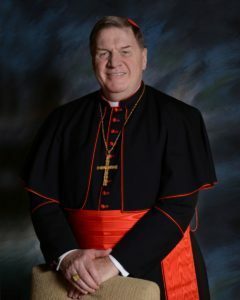 Newark, N.J., Jun 20, 2017 / 06:04 am (CNA/EWTN News).- Last month Cardinal Joseph Tobin of Newark welcomed a pilgrimage of self-identified LGBT pilgrims, with an archdiocesan spokesman saying it should be seen in the context of welcoming everyone, not as archdiocese sponsorship of the event. “I think that the central point that is missing from the majority of the media coverage and blog postings about this pilgrimage is that the cardinal was asked whether he might welcome a group of pilgrims who identify as LGBT. 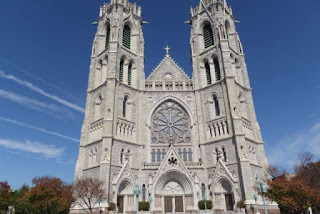 He said yes, we welcome all in the name of Christ,” James Goodness, communications director for the Archdiocese of Newark, told CNA. “This was not an event sponsored by the archdiocese, and we did not promote or advertise it,” Goodness said. “It was a purely private event. Some news coverage of the pilgrimage depicted it as a shift within the Church. Holy Cow! A Jesuit Talking Sense! 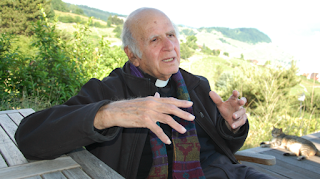 The Church should not defend Islam “at all costs” and seek to “exonerate it from the horrors committed every day in its name” or else “one ends up betraying the truth,” a leading Jesuit scholar of Islam asserted. VATICAN CITY (AP) -- Pope Francis has long railed against corruption and the mafia, but now the Vatican is considering developing a whole doctrine around excommunicating corrupt and mafia-tinged Catholics. The Vatican this week hosted its first conference on corruption and organized crime, inviting 50 prosecutors, U.N. officials, bishops and victims of organized crime for a day of talks. Organizers said in a statement Saturday that the time had come to develop a new legal doctrine for the Catholic Church around "the question of excommunication for corruption and mafia association." 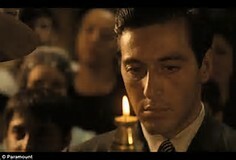 Michael Corleone could not be reached for comment. Turin, Italy, Jun 16, 2017 / 10:57 am (CNA/EWTN News).- A relic of St. John Bosco, which had been stolen from an Italian basilica two weeks ago, has been recovered, the local Prosecutor's Office reported. 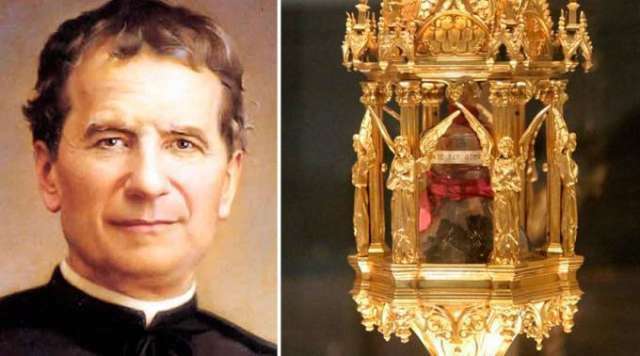 An urn containing a relic of St. John Bosco’s brain was discovered missing on June 3. The reliquary was kept in the Basilica of John Bosco in Asti, the saint's birthplace, fewer than 20 miles east of Turin. 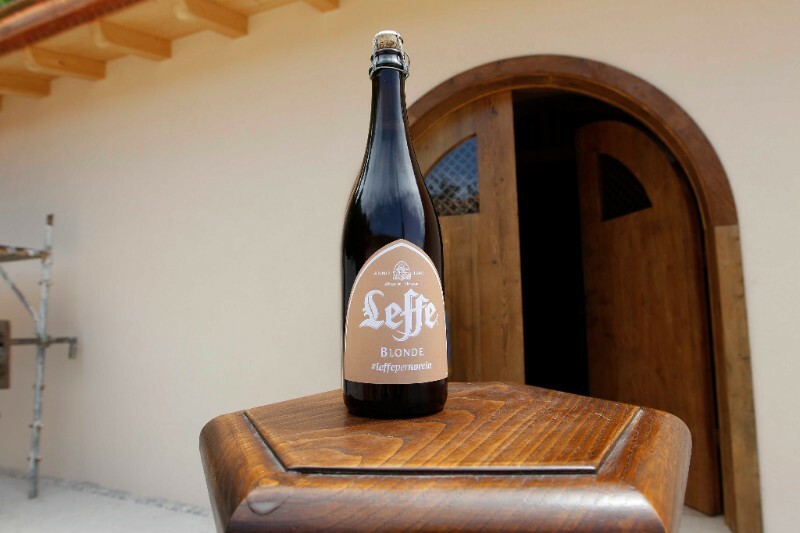 Norcia, Italy, Jun 14, 2017 / 12:02 am (CNA/EWTN News).- It was God and beer sales that helped sustain the Benedictine monks of Norcia, and it is God and beer sales that will help them rebuild. Unfortunately, it will only be available in Italy. I just ordered the Crusader package - three different scents. You can order here. It's fun and a worthy cause. 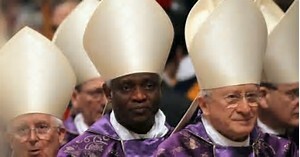 The diocese of Belleville has a lot of Fidei Donum priests from Africa. No further comment. Vatican City, Jun 12, 2017 / 10:55 am (CNA/EWTN News).- Pope Francis met on Thursday with a delegation from a Nigerian diocese which for the last four and a half years has refused to recognize the bishop who was appointed as its shepherd. Fr. Peter Okpaleke was appointed Bishop of Aasiara in December 2012 by Benedict XVI. But the Ahiara diocese is dominated by the Mbaise ethnic group. As an outsider from the nearby Diocese of Awka, Fr. Okpaleke was rejected by much of Ahiara's clergy and laity, who wanted one of their own to be appointed bishop over them. Vatican City, Jun 5, 2017 / 03:47 pm (CNA/EWTN News).- Pope Francis on Monday challenged the Consolata Missionaries to give a “new impetus” to their missions work, including by inculturation of the Gospel, promoting family values, and dialogue with Islam. Apparently,God thinks just like Noted Theologian Nancy Pelosi. 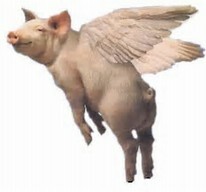 Besides, I thought the polluted air crisis of the future is resolved through abortion and gay marriage! 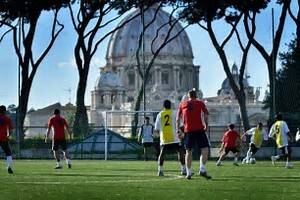 Vatican City, May 31, 2017 / 04:00 pm (CNA/EWTN News).- Upon winning the Vatican's annual soccer championship last week, the victorious team honored Christians in Egypt who have faced increasingly brutal persecution in recent years.